We have a reduced timetable with some class cancellations following a fall had by our much-loved Yoga Teacher Amanda (pictured), last week. 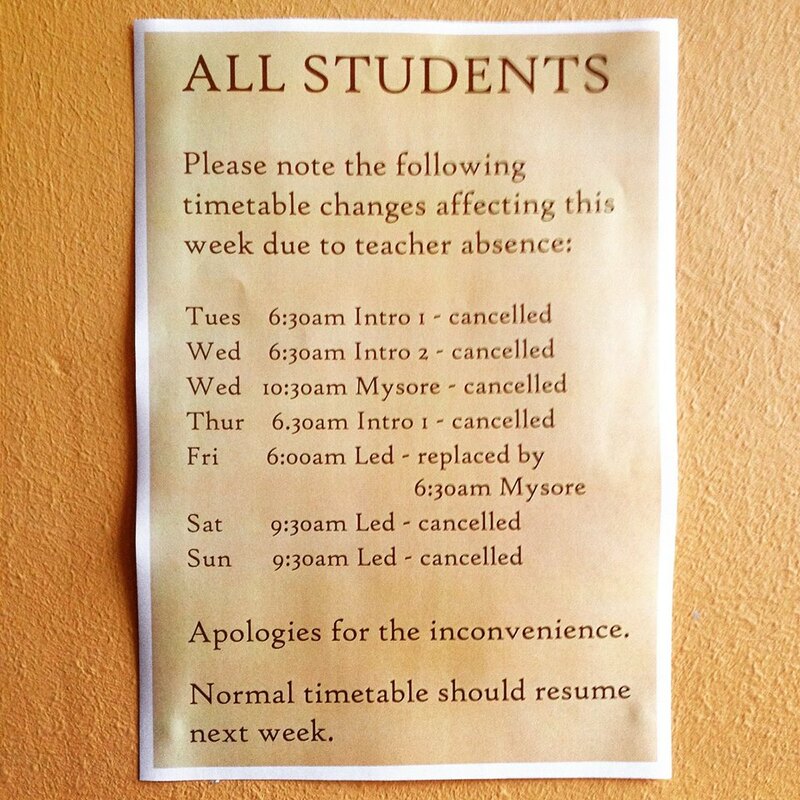 We are temporarily changing our timetable and cancelling some classes, as our dearly-loved teacher Amanda is currently unable to teach due to an injury. Last week, Amanda fell over and broke her hip. She has since had surgery and is recuperating at home under the care of friends, many of whom are students at our Centre. Amanda is on the mend, but unfortunately it will be some time before she comes back to the Centre to teach. In addition, Eoin is also away for several classes this week. See the timetable changes here. Amanda leaves a big hole at our Centre as she is much loved and respected, and has never taken a sick day in the 13+ years she has taught with us. Amanda has the longest association with the Centre of all our teachers, having joined us while we were at our previous studio. She has introduced countless students to Ashtanga Yoga through our Centre’s Intro courses, which run over five weeks several times a year. So please note this week’s temporary timetable changes and accept our apologies for any inconvenience. More details to come next week. If you need an ‘Amanda fix’ while she is away, you can see and hear her in this video.